Many finishing tasks remain in the area of the new Mudbrook bridge, including some tread work, signage, neutralizing old trail, etc. Happily, as the pleasant late August weather summons us to work on the trail, this project awaits! We’d really like a lot of hands to finish up all these tasks so we can move on to other areas of concern. For this project, please meet at the Deer Fly Trail IAT parking area by 8:30 AM on Saturday, Aug. 18. If you arrive later, please proceed west to the project area (about 1 mile). Please go to this link to register for the day so we can plan. We try to finish by mid-day. It is important for you to register so we can contact you with last minute information. If you are a regular participant but cannot attend, we appreciate negative replies as well. 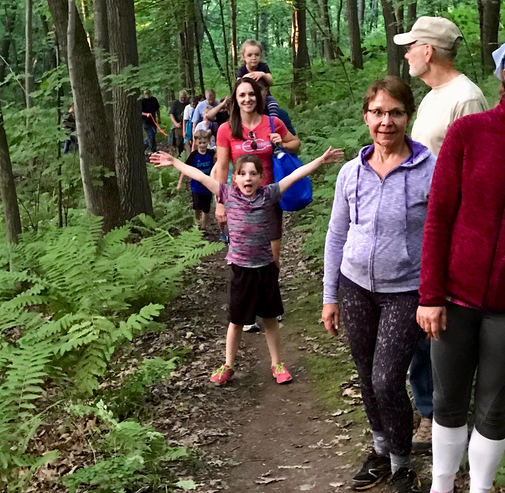 With summer vacations winding down and thoughts turning to school days ahead, it is a great time for an End of Summer Family Hike on the Ice Age Trail. 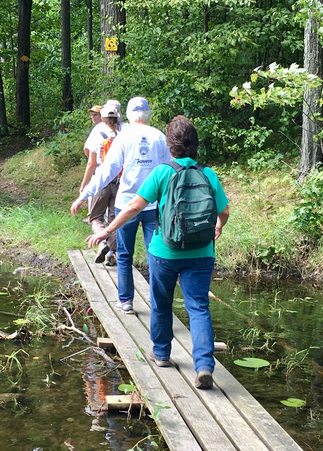 Co-sponsored with our friends at Mayo Clinic and the Girl Scouts, we are inviting everyone to come on Wednesday evening, August 29, to celebrate with a hike and maybe spot some cool stuff in the woods. We’re working on special treats and activities to make the hike special for kids of all ages, and an evening discovery walk on the trail in the woods will be the star of the show. We’ll all meet at the Obey Center at the Chippewa Moraine by 6:30 PM Wednesday, Aug. 29, and wrap up by 8 PM. If you plan to come and hike, please help us plan by registering. If you’d like to help at the event let us know. 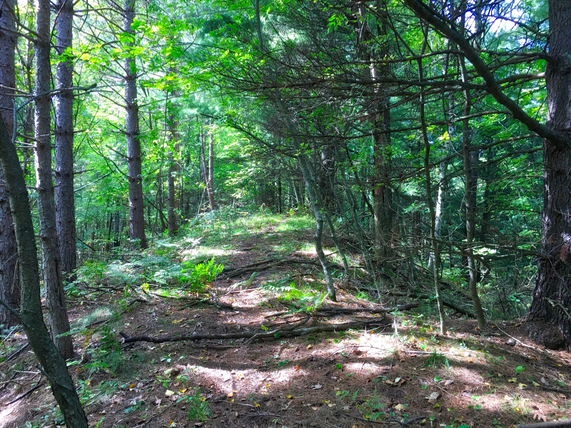 The Ice Age Trail Alliance has recently acquired a parcel of land at the south end of Otter Lake, north of Stanley, as a possible future site for trail expansion and a likely interpretive site. The property is now owned and managed by the Chippewa County Land Conservancy, which will celebrate the dedication of the property on Saturday, August 25 from 1-3 PM at the property. It is a chance for the Conservancy members, Ice Age Trail Alliance members, and neighbors to meet, celebrate the new preserve, hear about its story, and learn how the property will be used. In addition to a short program explaining the purpose of the property and a little about the significant glacial features it makes available for the public to explore and study, the program will offer guided walks along the esker and refreshments. The location of the event is 14187 360th St, Stanley WI 54768, which is 6.5 miles north of downtown Stanley. Map. The property was purchased by the Alliance using Knowles-Nelson Stewardship funds as well as private donations. September is always a great time to explore the trail. Mark your calendars and plan to join one or all of these chapter activities!